Thoughtfulness comes in all sorts of disguises ~ a kind word, a smile, a hug…but for those far away, a phone call can help connect but after you hang up, there’s nothing left but the memory. But a card, sent with a heartfelt message, is a talisman of connection, of thoughtfulness, of the message that I care. 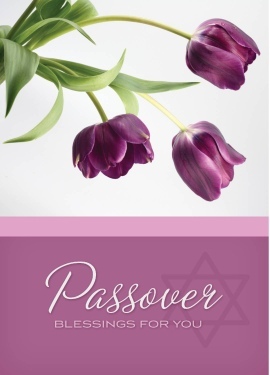 For those of you who celebrate Passover, please enjoy the following video of Passover cards available…for under $1 a card (plus postage) you can send a loved one a heartfelt message right now from your computer without leaving home that they can hold onto ~ and give them the priceless feeling of surprise when they go to their mailbox and find your lovely card nestled in between the bills and junk mail. Passover Blessings to All of You!